Supporting both sides of the world from one culture to another, KUDU shares a different perspective local shopping. To find a bit of Africa in Salt Lake you only need visit Kudu. 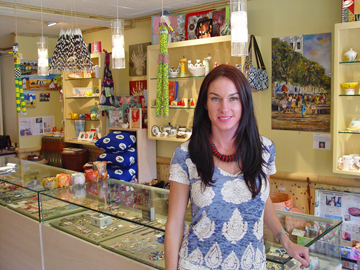 Named after an African gazelle, the store has artwork, jewelry, baskets and hand painted candles. 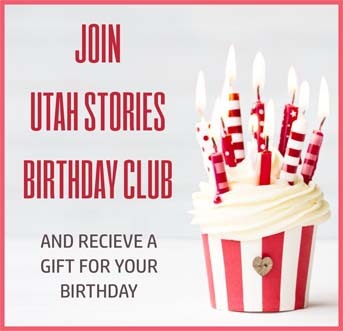 It is the perfect spot to find a gift that is not the same old tie or gift card. Wire beaded animals made by African street vendors are just one of the items carried at Kudu. Owner Susan Clissold says that the street vendors have no education, but day after day create beautiful works of art out of recycled materials that they sell on the street. If they don’t sell anything on a particular day their families don’t eat. It is not just the items on the store shelves, but the stories behind their creation that makes Kudu fascinating. Right now it is a one-person show for Susan as she takes care of everything from buying, advertising, promoting, selling, layout and social media. Originally from South Africa, she married an American and has been in the states for five years. The store came about because her new mother-in-law, Kleis Clissold, made a visit to Africa to see “where her daughter-in-law came from” and fell in love with the handmade items and the people she found there. When she returned she opened the African art boutique. Susan was living in Arizona at the time and offered her expertise and African contacts. 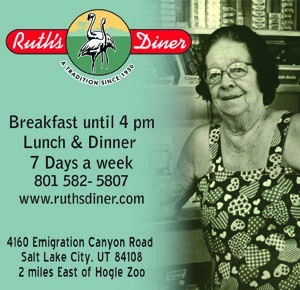 Eventually, Susan moved to Salt Lake and took over the shop. Her first order of business was to change the inventory. Kleis had been stocking high end products and Susan decided she wanted to offer gift items that people could purchase for $20 or less. She also wanted to benefit the people of Africa who were the suppliers. Her pieces are obtained directly from the artists or fair trade companies. Fair trade pulls people out of poverty by justly compensating them for their work. Susan’s business is growing. “I took over the store at the beginning of 2013, and the changes I made have proven successful. Word of mouth is beginning to spread.” One way she gets the word out is to attend an out-of-store event at least once a month. She goes to a lot of festivals and markets because she believes that for people to really understand what she has to offer they need to see it. Kudu is located at 2155 East 2100 South. Hours are Mon-Sat 11am-6pm.